Since 1992, Lions Clubs International has had a float in the New Year’s Day Tournament of Roses Parade in Pasadena, California. Two of its entries in 1993 and 1994 won awards for the most beautiful floats in the parade and again in 2014 won the tournament of Roses Special Trophy for exceptional uses in multi classifications. However, all entries are considered winners presenting Lions an opportunity to promote our service activities to people world-wide who view the float each year. The Rose Parade is viewed by more than 800,000 along the parade route and an estimated 400 million in 85 countries. The parade is covered by several hundred domestic and international media representatives. Every major print media features related stories before, during , and after the parade. Lions Float, Inc., a 501 (c) 3 non-profit corporation was formed in 1994 to direct the preparation and funding of the Lions Float in the Rose Parade. This is a year-round activity involving the designing, fundraising and coordinating of volunteer decoration of the float in December. 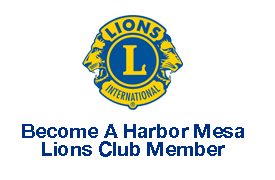 To raise funds, Lions Float, Inc., sells commemorative pins, polo shirts, t-shirts, sweatshirts, hats & visors, and Fellowships. Please visit the souvenir store on the website at www.lionsrosefloat.com and purchase items that you can use as gifts to our fellow lions, family members, friends and even business associates.